Okay, I admit it. I'm still loving the cardboard animal head trend. I know that a lot of people are "so over it". 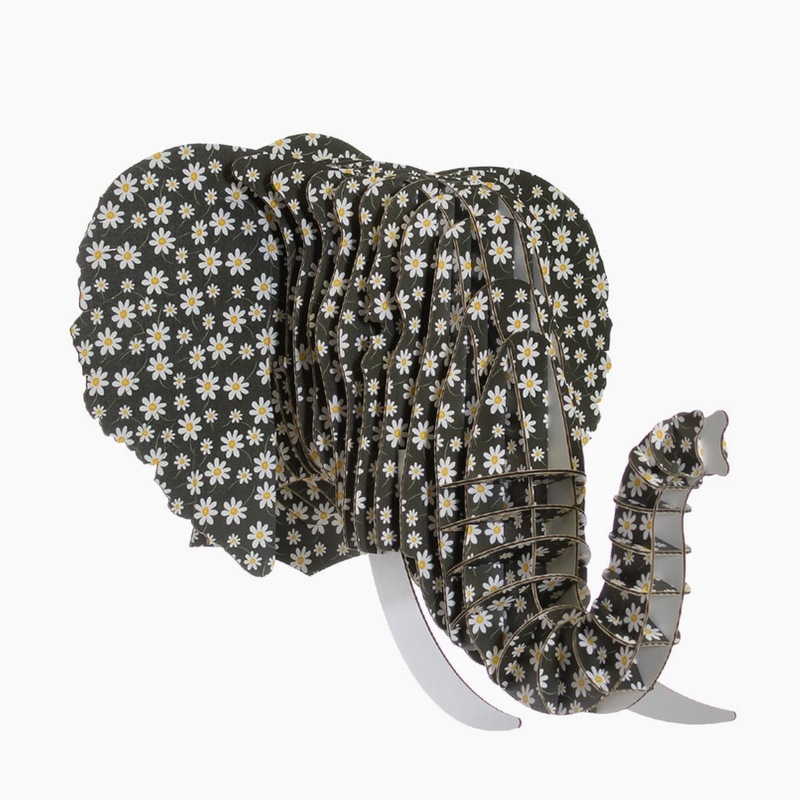 But I love whimsy in decorating and I think that the different cardboard and paper mache animal heads available right now fit the "whimsy" bill just right. 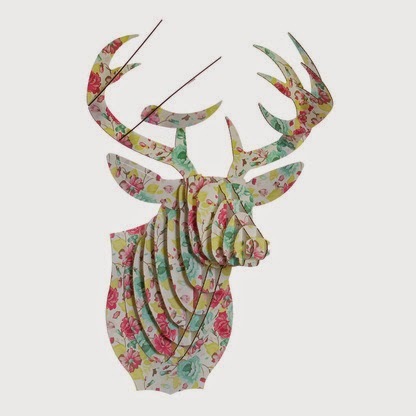 Perhaps you recall my boys' bedroom with its cardboard deer head. It is seriously one of my favorite spaces that I've created...like...ever. I showed these to my daughter to get her input before I posted about them and she loved them! 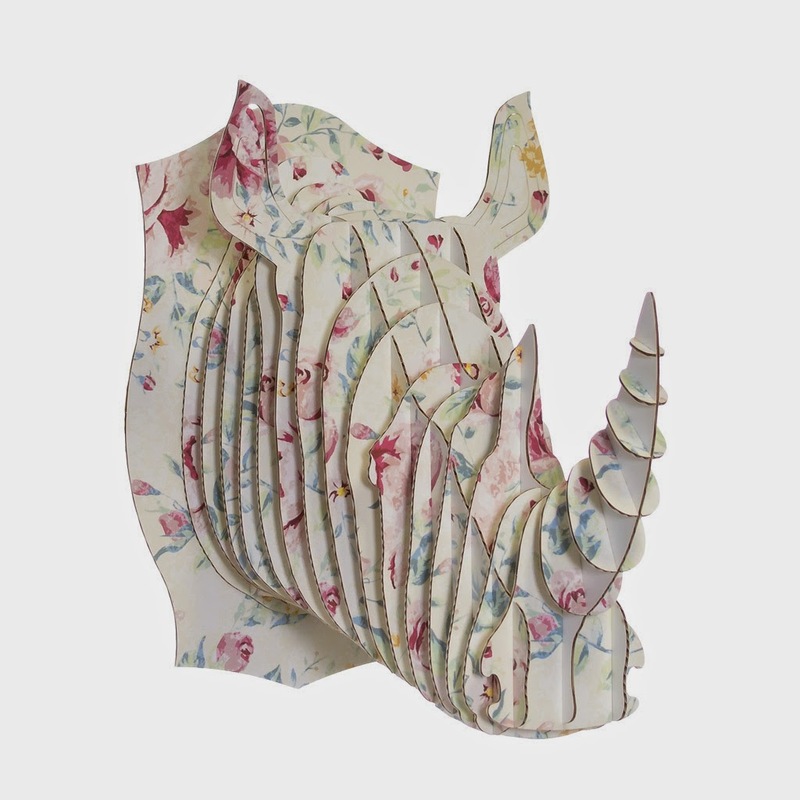 Any of the three different animals are available in each floral print. What a great and unexpected addition something like this would make to a little girl's bedroom. What are your thoughts, my dear readers? That rhino head is about the CUTEST thing! So whimsical!